Cream butter, sugar and salt until light and fluffy; beat in egg and vanilla. Gradually beat in flour. Divide dough in half; shape each into a 1-in.-thick rectangle. Wrap in plastic; refrigerate 2 hours or overnight. Preheat oven to 375°. Place blueberries, sugar and cornstarch in a small saucepan. Bring to a boil over medium heat, stirring frequently; cook and stir until thickened, about 2 minutes. Cool slightly. Roll each portion of dough between two sheets of plastic wrap into a 14x10-in. rectangle. 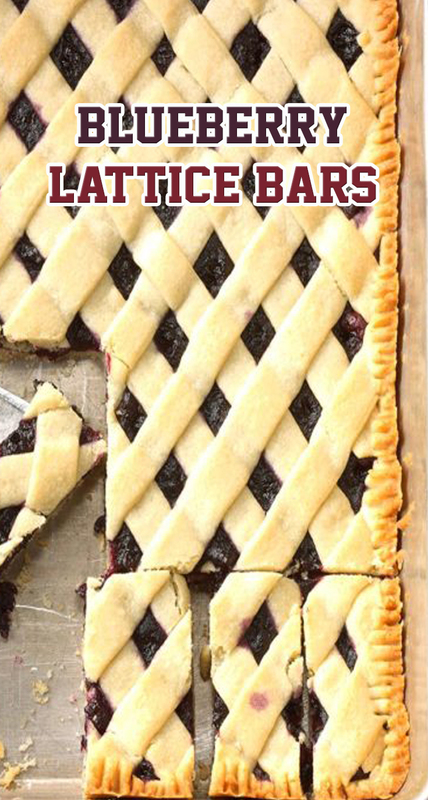 Place rectangles on separate baking sheets; freeze until firm, 5-10 minutes. Place one rectangle in a greased 13x9-in. baking pan, pressing onto bottom and about 1/2 in. up the sides. Add filling. Cut remaining rectangle into 1/2-in. strips; freeze 5-10 minutes to firm. Arrange strips over filling in crisscross fashion. If desired, press edges with a fork to seal strips. Bake until top crust is golden brown, 30-35 minutes. Cool on a wire rack. Cut into bars.